The end of summer may seem sad, but to those of us in the kitchen, it also signals the busiest time of year. All of the garden produce is becoming ready at the same time, and things can get hectic. 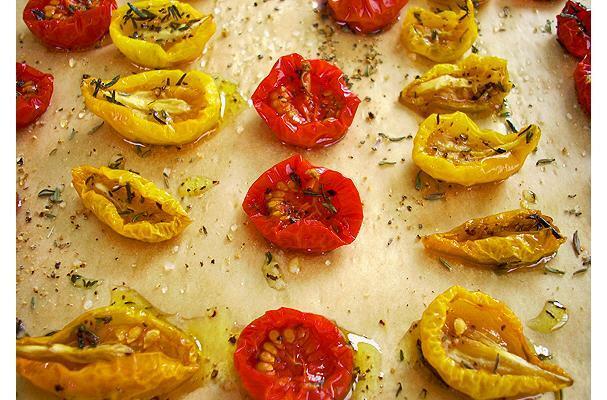 Roasting tomatoes, is an easy way to get them from garden to plate. Roasting brings out the natural sweetness of the tomato, and it is a great way to experiment with all the new (or new to you) varieties that are becoming popular at farmers markets. Enjoy!